Knowing the Bible is imperative to living a life that honors Jesus Christ. Yet many Christians don’t have a solid understanding of the background of the Bible. How did we get the Bible? Why are there so many books and authors? What’s a genre!? 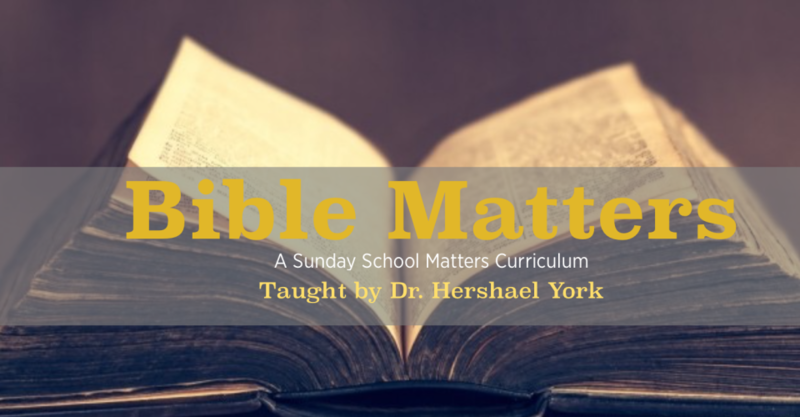 Join Dr. Hershael York as he walks you through the foundations of the Bible. This course will unlock a deeper understanding of Scripture and show you once again that the Bible Matters.